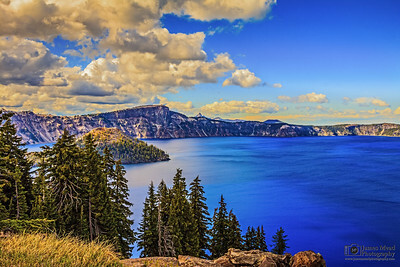 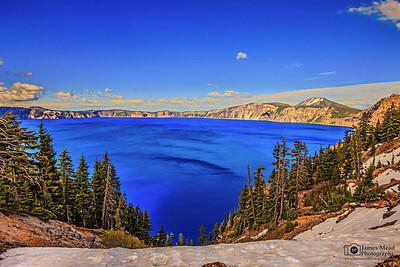 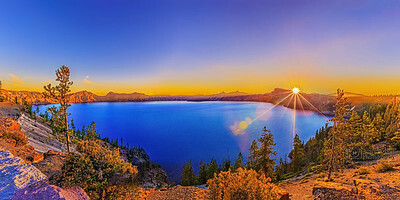 As the Golden Hour nears, Crater Lakes deep blue waters show their colors as a the sun casts a golden glow over the rim. 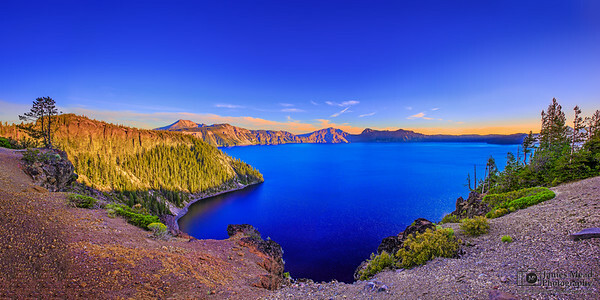 The setting sun casts a golden hue over Crater Lake as Cleetwood Cove slips into the shade. 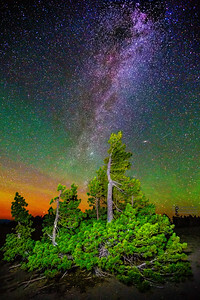 The Greens from the Aurora Borealis and the Spiral Arm of the Milky Way light up the skies above Whitebark Pines in Crater Lake National Park as a meteor streaks across the sky towards the Andromeda Galaxy. 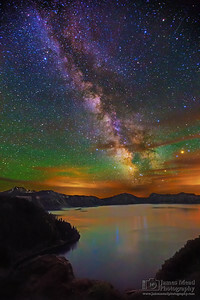 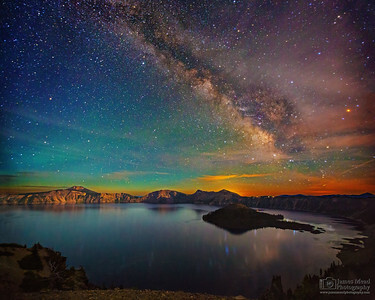 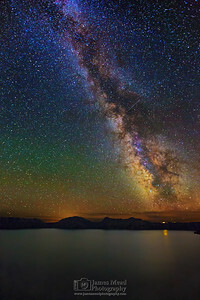 The Milky Way rises above Crater Lake and Wizard Island in Crater Lake National Park as the green glow of the Aurora Borealis lights the skies surrounding the lake. 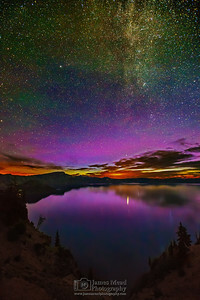 The Purples of the Aurora Borealis reflect off the waters of Crater Lake as they light up the night sky above. 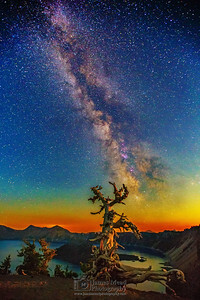 The setting moon illuminates a lonely Whitebark Pine, Wizard Island, and Crater Lake as the Milky Way core rises into the sky while the Aurora Borealis begin to stretch across the sky. 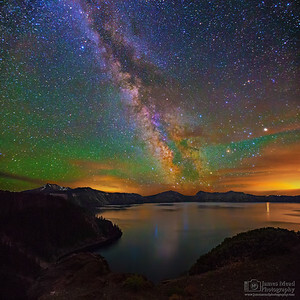 The Aurora Borealis illuminates the sky green as the Milky Way core rises over Cleatwood Cove on Crater Lake in Crater Lake, National Park. 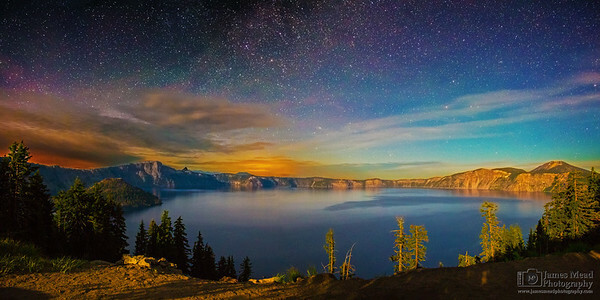 Wizard Island, the stars and the Milky Way reflect in the still waters of Crater Lake as setting moon illuminates the landscape. 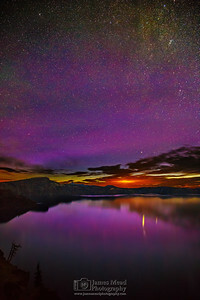 A strong solar storm resulted in a strong Aurora Borealis display. 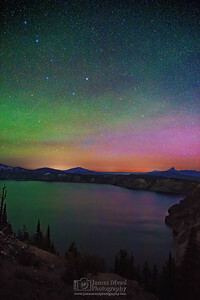 Faint greens from the Northern Lights are visible despite the moonlight. 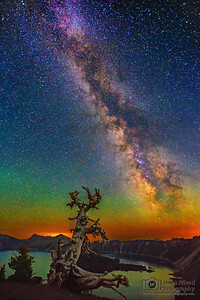 Once the moon set, the full on display was stunning. 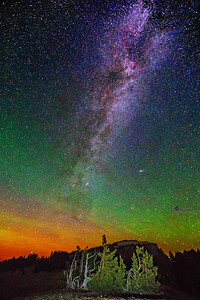 Despite the moon still shining high in the sky, the vivid Aurora Borealis illuminates the night sky as the Milky Way spiral arm rises above. 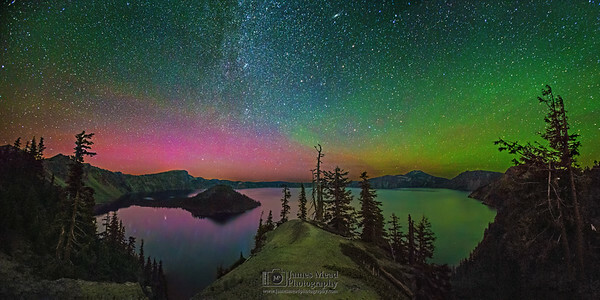 The Aurora was so vivid, the pinks and greens were able to shine through the moonlight. 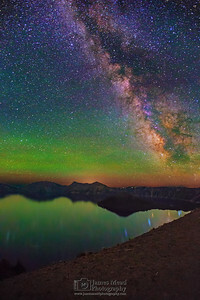 This picture was taken while the moon was in the sky during a vivid display of the Northern Lights in Oregon. 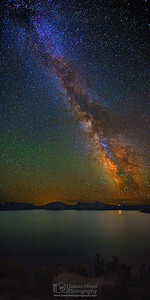 The display was even more stunning once had moon set.